Avatar have begun recording their as-yet-untitled sixth album with producer Sylvia Massy – best known for her work with System Of A Down and Tool. 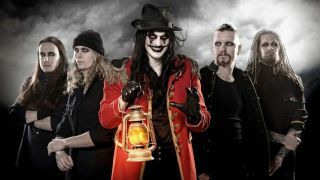 The band are splitting their time between three studios in Europe to produce the follow-up to 2014’s Hail The Apocalypse. The new album will be issued via Another Century. The Swedish four-piece are hitting stateside for a number of festivals next year including ShipRocked, Rock On The Range, Welcome To Rockville, Fort Rock and Carolina Rebellion.